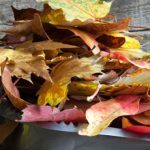 (1) Do an autumn clean-up. Take a look around your home and put away anything that isn’t essential for the next few months. 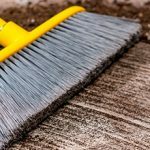 Spruce up areas that have been neglected during the summer months and look at areas which may get particularly grubby such as the front patio and place a doormat there. (2) Put away summer jackets and shoes and take out your warm coats/ jackets and boots, ready to tackle the seasonal weather. You could also get scarves, gloves, and hats out ready for when the temperature dips in winter. (3) Check your boiler/central heating system, remember to check your boiler pressure and look for any cold patches on radiators, which may indicate that there’s air trapped inside that’s blocking the system. If in doubt, ask a professional to check your boiler/ central heating system for peace of mind and to identify any potential issues which may turn into bigger problems. 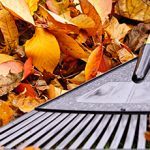 (4) Do an autumn garden clean-up, particularly if you have trees, as leaves and small branches can build up over time leaving your garden messy. If you have a garden vac this might become less of a chore but there are plenty of tools for gardens big and small to get the job done. (5) It’s also a good idea to clean out gutters so they are free from leaves and debris, as blocked gutters can cause damage to properties and will become more difficult to clean during winter. (6) If you have potted plants in your garden bring them indoors, clean them and repot if necessary. Beforehand try and work out where to place them in the house and try to make sure they are placed where there is adequate sunlight. (7) Check windows and doors for draughts and if required replace seals and add draught excluders to prevent heat loss. (8) Test your home alarm system if you have one and smoke/ carbon monoxide alarms to make sure they are working correctly. This however is something that should be done throughout the year for home safety. (9) Outdoor furniture unless covered will look the worse for wear if left out in the autumn/winter months, putting it away will help it stay protected for when you want to use it in the spring. (10) Finally it’s always a good idea to make sure you have spare light bulbs to hand, as you don’t want to be left in the dark when the days start to get shorter! 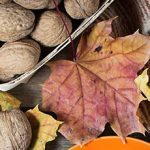 For more tips to prepare for this autumn take a look at our other essential garden tips in our post How To Prepare Your Garden For Autumn.